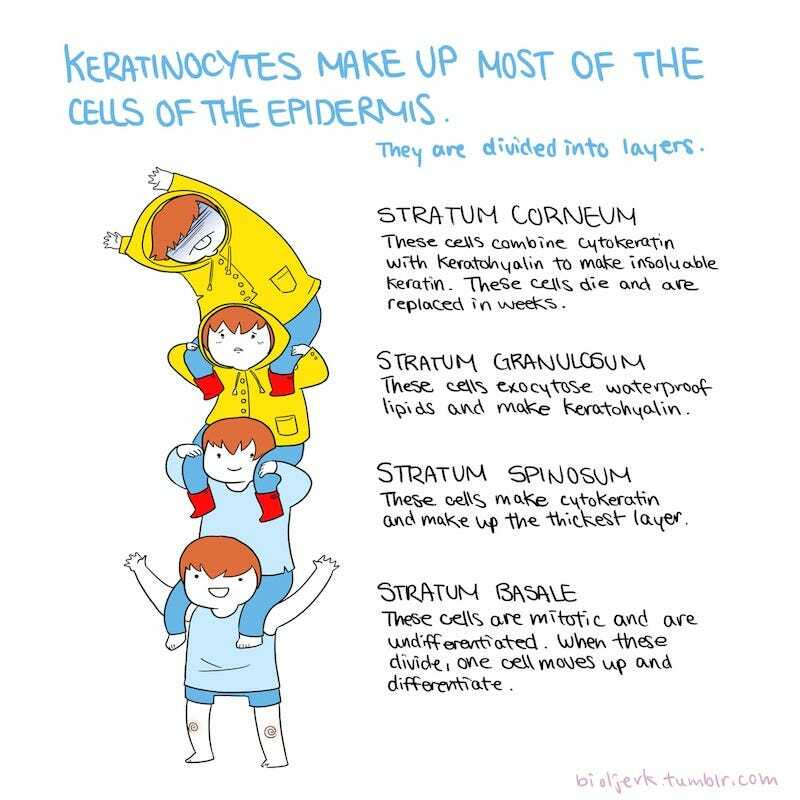 To help herself study, biology student Biol Jerk draws sweet little comics explaining the differences between the various cells that make up the epidermis, the distinctions between schwann cells and oligodendrocytes, and what the Ran cycle has in common with clubbing. Biol Jerk has been posting these comics all fall, and they're wonderful in how they explain biological concepts with simple visuals. Proteoglycans, glycoproteins, and glycosaminoglycans are like different configurations of guys and gals at a party. Osteocytes are bricklayers while osteoclasts are brick-eaters. Color-coded comics help you remember what hematoxylin and eosin bind to. I'm a sucker for Larry Gonick's cartoon guides and No Starch Press's manga guides, and Biol Jerk's comics are perfect for anyone who has trouble telling their Stratum Spinosum from their Stratum Basale.